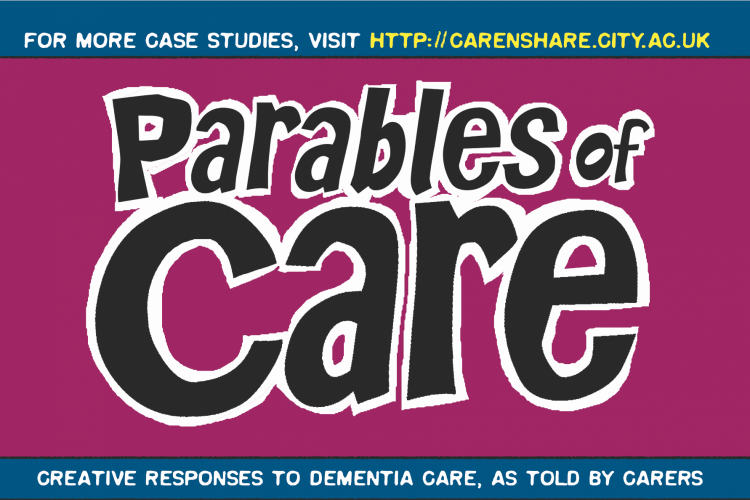 Parables of Care is a 16-page publication presenting true stories of creative responses to dementia care, told by carers, taken from a group of over 100 case studies available at http://carenshare.city.ac.uk. Upon request and at no cost, we have a limited number of printed copies available to libraries, residential homes, NHS Trusts, hospitals, health professionals, carers, patients, teachers and researchers within the United Kingdom. If you reside in the UK, you can request the print edition of Parables of Care by completing the form below. (You can also access the form here).